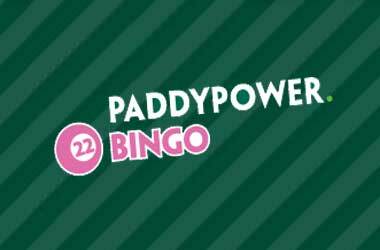 There are plenty of surprises on offer over at Paddy Power Bingo, and throughout the entire month of May 2017 they have chosen to double all of the cash prizes on each of their Rainbow Riches bingo games, but the cost of those bingo tickets remain the same! As such if you do decide to play then you have the chance of winning some much higher valued cash prizes, those prizes are now £100 for their Bronze Games, £300 for their Silver Games and an enormous £600 for their Gold Games. The way in which the jackpots are triggered has not changed either for the Bronze prize if won on 10 steps, the Silver jackpot is won on 25 steps and the Gold prize is won as it has always been on 50 steps, but with those much bigger and better prizes up for grabs there is more cash to be won by all players taking part in the Rainbow Riches bingo games. Be aware that this promotion is running until the 31st of May 2017 and as such it doesn’t matter when you decide to log into your Paddy Power Bingo account to play their Rainbow Riches games those enhanced cash prizes will be waiting for you! You will of course need to log into your account and fund it if you do not have any bingo playing credits, however they do offer plenty of different banking options on their safe and secure banking interface and you will of course need to log into the Rainbow Riches Bingo Room which is very clearly indicated on the Bingo Room menu so finding it will not pose any problems! One thing you may be wondering is whether those enhanced prizes are going to be added to your account as bonus credits or real money credits, well the good news is that will be added to your account as cash prizes! So you will be able to do with those credits as you please either playing on or cashing them out if you are lucky enough to win one of them! This promotion is not exclusively available at Paddy Power Bingo, for the software supplier who supplies Paddy Power Bingo with their bingo playing platform, that being Virtue Fusion has this promotion up and running throughout May 2017 at all of the many other bingo sites that use their bingo software, and as such if you hold an account at any other site using their software then you will also in those double jackpot son offer at those sites too! You can open an account at Paddy Power in a matter of minutes, but unlike your local land based bingo club they offer free and very low cost bingo tickets and have some much bigger bingo jackpot games on offer too!